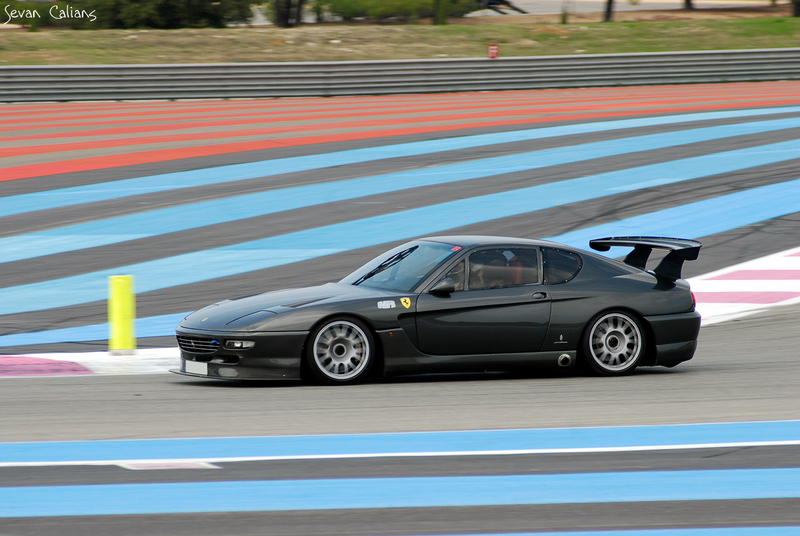 Here's something you don't see every day: a Ferrari 456 track car...with Lexan windows and side exaust! I love the 456, but I hope that wing has some actual aerodynamic value because it's very much out of place on such a fine automobile. Spoils the lines and all that. Very reminiscent of the Prodrive 550. A car I've always had a fondness of. Good call st3ph3n, I had almost forgot about those. Looks much more balanced as a mono-tone track car. Is he running at Paul Ricard? Looks more like the 575 by N-Technology.